The office portion already has 30k square feet signed for thanks to Ovative Group planning to move from across the street. Makes me pretty confident financing and other hurdles are already cleared if this can just get through approval. Really bums me out how many of these projects include a huge pile of parking spaces. Waste of space, encourages car use. There's a shiny new train that services the area, and it's supposed to be an urban neighborhood. With projects like these in just don't think we're ever going to take this neighborhood or the city to the next level. I work across the street from the site and it is definitely a car dominated neighborhood despite the half-assed attempt to be dense and urban. I actually think these projects are doing a good job of replacing the parking they're taking with spaces that are pretty hidden from view (short of putting them all underground, which isn't an option here). Even urban neighborhoods need some parking. The train by itself isn't a total solution for transportation... better bus service would certainly help. Yeah, the North Loop will always be car dominated until bus (or other rail, I suppose) transit improves. The Blue and Green lines terminating at Target Field Station just don't cut it for this rather large and poorly gridded neighborhood. 5th Ave Guy wrote: I actually think these projects are doing a good job of replacing the parking they're taking with spaces that are pretty hidden from view (short of putting them all underground, which isn't an option here). Even urban neighborhoods need some parking. The train by itself isn't a total solution for transportation... better bus service would certainly help. I realize that we need some parking, obviously. We already have some parking. But it seems like every large project comes with hundreds of parking spots. We're entrenching the car dominance. And the main part of downtown is well served by transit and even still, every new condo building there is loaded with parking spots, so I don't think that's the only thing. Everyone who wants to live in or near downtown and work downtown has to have a car? I don't understand it. What's the point of having a dense urban area at all then? Condos downtown shouldn't be like suburban homes, where every adult has their own car and people never leave the house except via a heated garage. 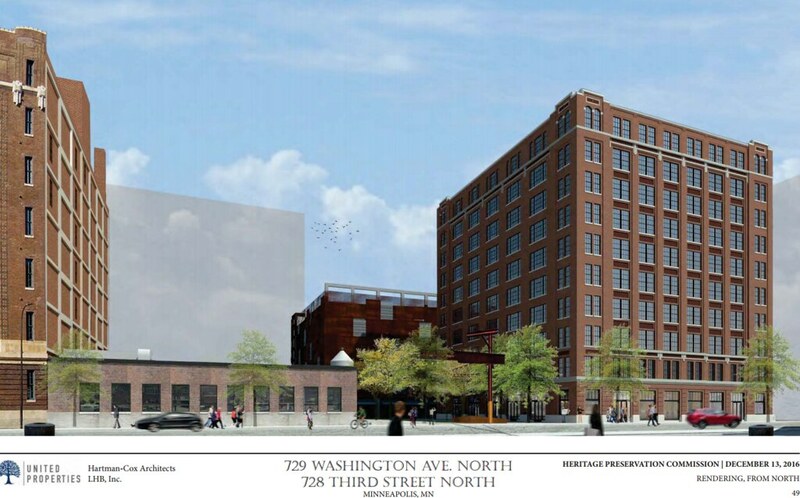 For these commercial projects that have tenants that primarily don't live downtown or in the North Loop, I'm not sure the project would even be viable without the additional parking. The train doesn't really serve the neighborhood well and bus service is awful. Seems like it would be a tough sell to get commitments without it, right? 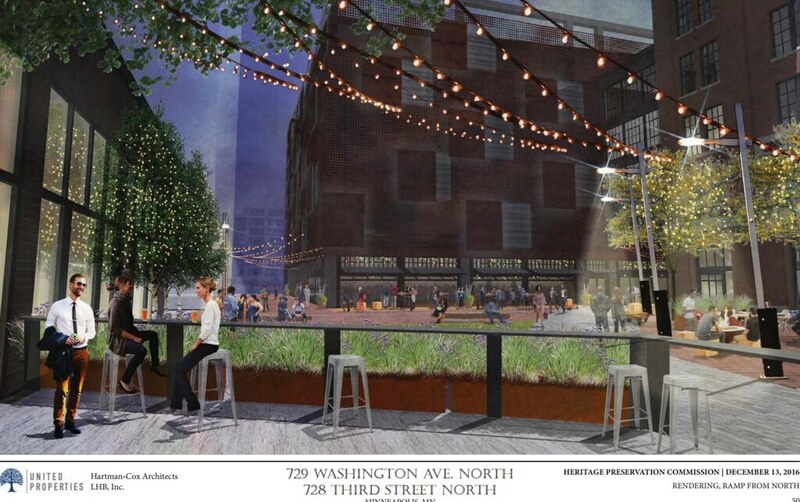 5th Ave Guy wrote: For these commercial projects that have tenants that primarily don't live downtown or in the North Loop, I'm not sure the project would even be viable without the additional parking. The train doesn't really serve the neighborhood well and bus service is awful. Seems like it would be a tough sell to get commitments without it, right? Like I said, I understand that we need some parking. But it seems like we're adding more than we possibly need, and it seems especially strange when every condo project comes with a slew of parking spaces. And then we wonder why no one walks or takes transit, even for trips inside the city. Hopefully when these tenants move into this office building, employees will move downtown and not require car use. If the ramp is not fully used, the next developer will include less and less parking in future projects. You can't force people to not use their cars, you have to let it happen organically. go4guy wrote: Hopefully when these tenants move into this office building, employees will move downtown and not require car use. If the ramp is not fully used, the next developer will include less and less parking in future projects. You can't force people to not use their cars, you have to let it happen organically. I'm not trying to force people to not use their cars, but if you provide lots of parking, you are encouraging car dependence. More car dependence leads to more traffic, and more parking which leads to more car use, which leads to more parking and less transit. It's a self reinforcing cycle. Once the parking is built, you'll never get rid of it, so we should try to limit (not eliminate) the amount of parking that is built. Well if we require parking be convertible (flat floor plates rather than sloped) then it can go away. How many built residential projects have been granted a variance to exceed the downtown parking maximum? 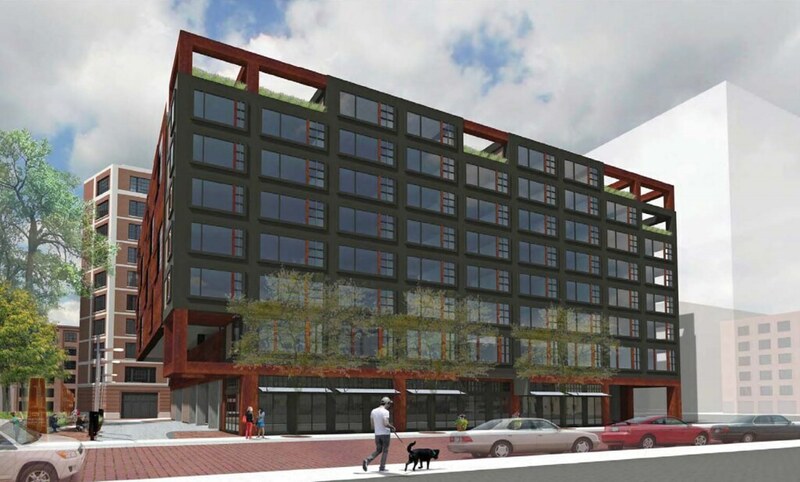 The Shamrock Portland project is the only one that comes to mind. Plenty of projects have been built without increasing the number of parking spaces downtown. Latitude 45, 100 Hennepin and Soo Line come to mind. Project has been appealed by Herschel Lofts Homeowners Association and NNLL who have hired an attorney (I hope this doesn't indicate a court battle is in the offing). 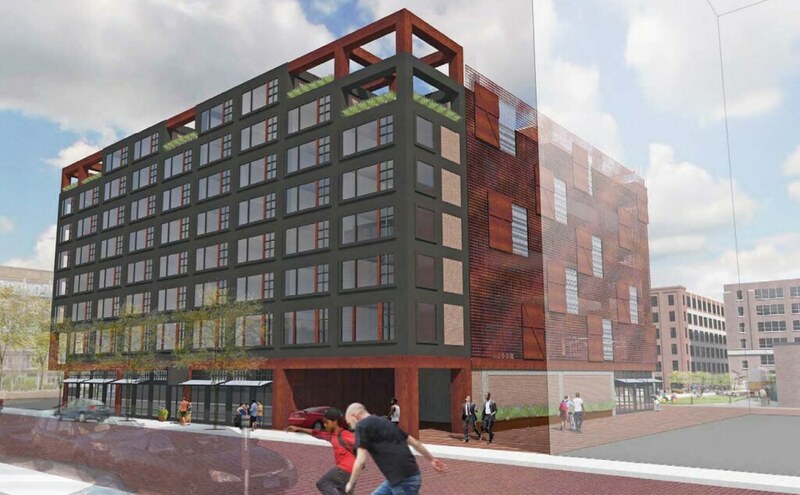 They primarily take issue with the section of the office building over the rail corridor, the presence of the parking ramp, and having vehicular access off of N 3rd St.
VAStationDude wrote: How many built residential projects have been granted a variance to exceed the downtown parking maximum? 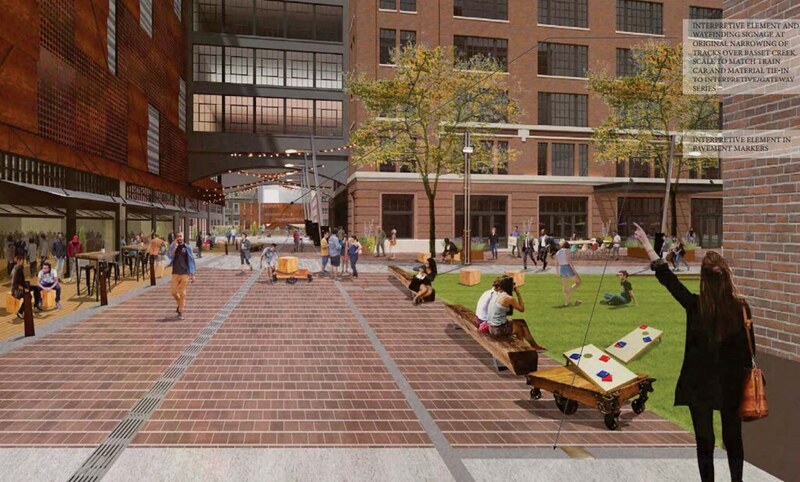 The Shamrock Portland project is the only one that comes to mind. I didn't realize that some didn't have parking at all. I suppose that's good. DanB wrote: Project has been appealed by Herschel Lofts Homeowners Association and NNLL who have hired an attorney (I hope this doesn't indicate a court battle is in the offing). 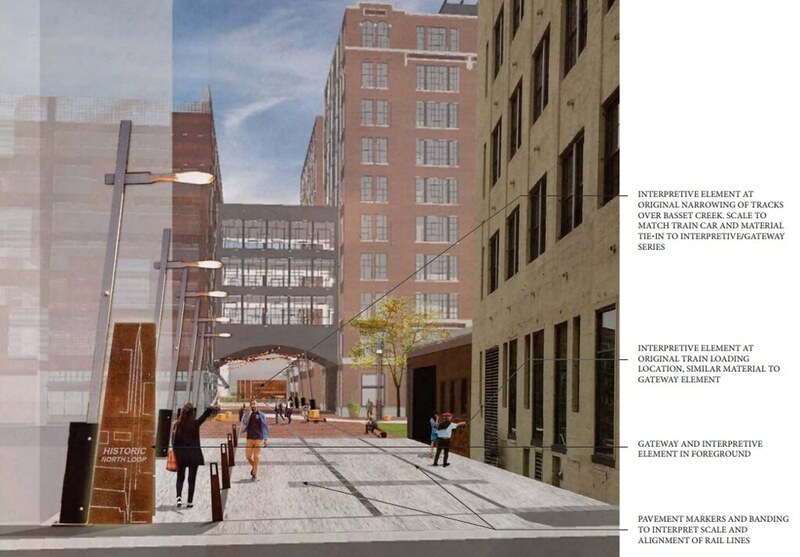 They primarily take issue with the section of the office building over the rail corridor, the presence of the parking ramp, and having vehicular access off of N 3rd St. I never realized there was a rail corridor right there. Hence the curve in the back of the Internet Exchange Building. I think this one plans to break ground in late spring/ early summer. They have an aggressive schedule because leasing has been good and they need to get the building completed in time to meet a fall 2018 occupancy timeline. They're facing an appeal of the HPC decision (which the City Council could quickly reject this week) and then they still have to get Planning Commission approvals (which could also be appealed). I'd guess they're at a minimum 8 weeks away from having final approvals.